According to The Guardian newspaper 'A million plastic bottles are bought around the world every minute and the number will jump another 20% by 2021'. Being a member of the cleaning industry means that we are well aware of this startling fact, as well as the importance of recycling. Many of our products are sold in plastic containers that, once used, are often thrown away. We want to change that. That is why Chemical Solutions are proud to announce or new 'Plastic Recycling Scheme'. If you are a Chemical Solutions customer, we now ask that you contact us when you are finish with your plastic containers and we will come collect them from you, absolutely free of charge! We will also now be encouraging many of our regular customers to purchase trigger bottles from us that they can use to decant liquids from larger containers into, then return the containers to us. That way we can then send the large containers back to our suppliers, which they then refill, thus reusing the same containers rather than creating the need for new ones. It may seem like such a small thing, but over time it can help reduce the amount of discarded plastic drastically. 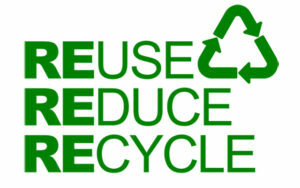 Moving forward we will be looking at more ways that we can help not only ourselves but our customers become more waste efficient and environmentally friendly.